This is the 3rd part in our 3-part series of “most common questions” we answer for our patients at Orthodontics on Silver Lake (OSL). I hope this has been an informative Q+A for our Women’s Journal readers. My OSL team and I are committed to offering optimum experiences and excellent results for all of our patients. 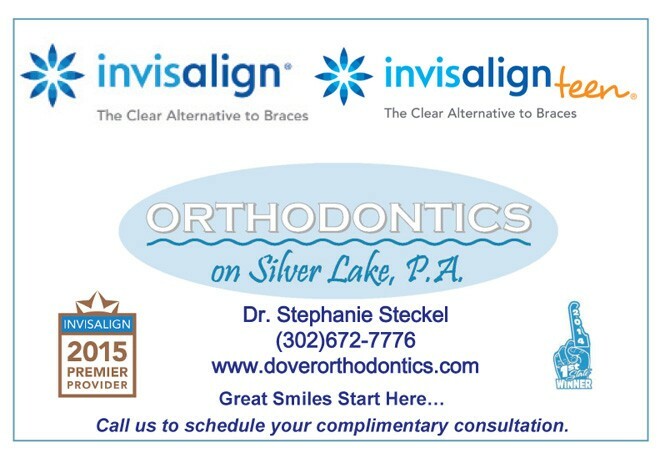 Call us at 302-672-7776, or check out our website at www.doverorthodontics.com, to schedule the start of your new smile with Dr. Steckel. 11. I will begin my treatment as a minor but reach the age of majority during treatment. How will this affect the course of my treatment? Rules may vary by the state you live in. When you become an adult, we ask you to confirm who we can communicate with about your treatment, which usually includes your parents. 12. I’m afraid I won’t be able to afford treatment. Do you offer payment plans? We offer zero interest payment plans for our patients. The cost of treatment depends on the complexity of the case and the duration of treatment planned. You will be able to discuss fees and payment options before treatment begins. We have payment plans to suit different budgets, including a no-down-payment option. We work hard to make orthodontic care affordable for everyone. 13. Will orthodontic treatment interfere with playing sports? Nope! We do recommend, however, that patients protect their appliances and their smiles by wearing mouth guards when playing sports. We can supply you with one; just ask! 14. Will orthodontic treatment interfere with playing an instrument? No, but there will be an initial period of adjustment. Covers or wax can be used to prevent lip and cheek pain and discomfort. Let us know if you play an instrument and we’ll teach you how to apply the wax! 15. Do I need to change my oral hygiene routine? Yes. Keeping braces and other appliances clean requires a little more effort. 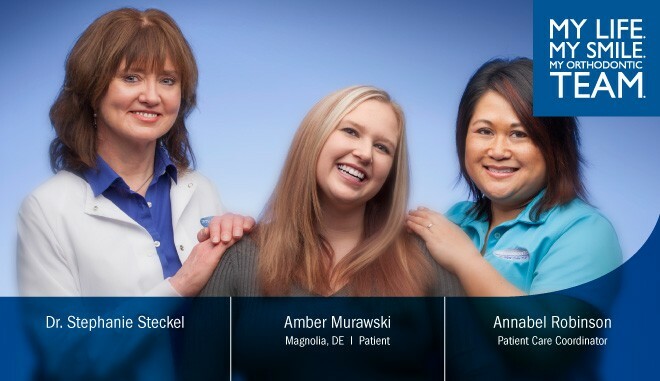 Dr. Steckel and her OSL team will give you special instructions on how to brush and floss, how often to do so, and information on any dental products and tools that may be helpful to you. Be sure to avoid hard, sticky, sugary foods and sodas, and continue to see your general dentist for routine checkups and cleanings!